In many large firms, the client rarely speaks to their actual attorney, but is directed to the legal assistant for the information and guidance. We understand the frustrations associated with that type of representation and as a result, we would rather practice law in the way you deserve. When you call, you will speak directly with the attorney. Also, the attorney, and not an assistant, will be speaking directly with the insurance company, defendant or its attorney. 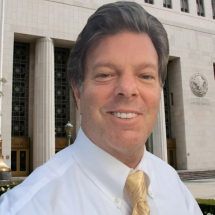 Having previously been in-house counsel for a large insurance company, Frederick Schwartz understands the way the insurance company thinks and operates. He has valuable insight into the mind set and frame of reference of the insurance company’s adjustors and lawyers. This gives his clients big advantages in the negotiation, litigation and settlement process. For over 20 years, the Law Office of Frederick S. Schwartz has worked diligently to insure that their clients receive the best legal representation possible, be treated fairly, and be properly compensated. Please call or email for an honest evaluation of your case. For over 20 years, Frederick Schwartz has been fighting for his clients both in and out of court. He is committed to providing his clients diligent, zealous, and personal representation. If you have been mistreated by your employer, been denied a benefit for which you are entitled, or have been seriously injured, then call the Law Office of Frederick S. Schwartz at (800) 994-4442 for a free and honest evaluation of your claim.